Soon we should know the outcome of currently ongoing study concerning Austria’s national stadium. Should there be a new one or will Ernst-Happel-Stadion get a makeover? After last year’s announcements, there’s an official study ongoing in Vienna, regarding the proposed national stadium of Austria. 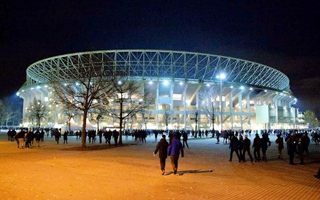 Results should be known fairly soon and give an answer to the important issue: is a new venue better or is Ernst-Happel-Stadion able to take a few more decades? Regardless of the outcome, Austria is in for big expenditure and most likely one to be at least co-financed by taxpayer money. It may be in the tens of millions (for upgrade) or hundreds of millions (for new stadium). Federal government’s sports minister Han Peter Doskozil already suggested he’s looking to get private investors on board. The goal is having 50,000-60,000 seats with state-of-the-art infrastructure. But for private capital to get involved, such project has to bring profits. Can it be done like in Brussels, where taxpayers won’t finance the stadium itself at all? It seems extremely unlikely. In Belgium it took both the national team and Anderlecht to secure the core of event calendar (25+ games). In Vienna both big clubs are engaged in their own private stadium projects (Austria in the process, Rapid already moved in), which means there’s no chance of getting them to hold games at Prater’s national stadium. This leaves just 6 national team games annually, not enough itself to make any major investment feasible. But according to ÖFB president Leo Windtner there’s more to take into consideration. “It has to be a multifunctional stadium, not just for football, but also for concerts and expos in Vienna”, he claims, speaking to DerStandard.at.